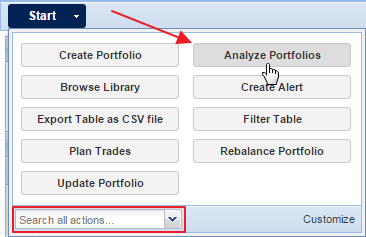 Please note that all but the first bullet point from above uses the Portfolio Analysis facility, which you can find by clicking ‘Analyze Portfolios’ in the Start menu. 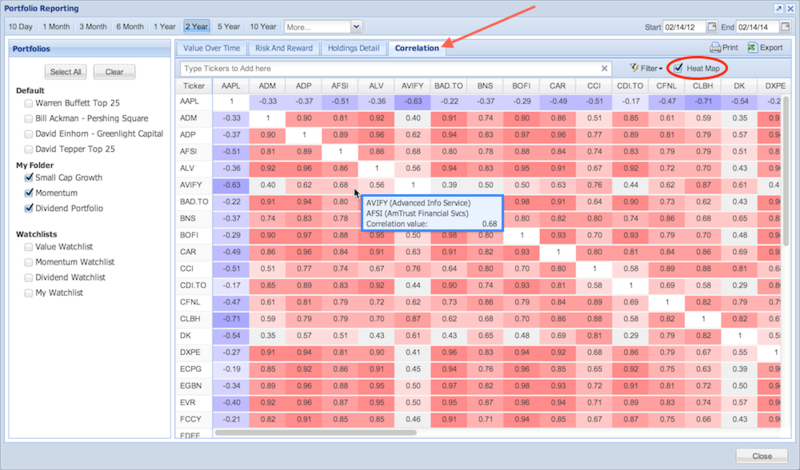 To see a portfolio’s allocation broken down by equity type, sector, industry, and stock, load a portfolio in the Table and scroll all the way down on the Summary tab in the Insight panel, shown below. You can also load this chart by clicking ‘My Portfolios’ in the Navigation panel so that all of your portfolios are listed in the Table. 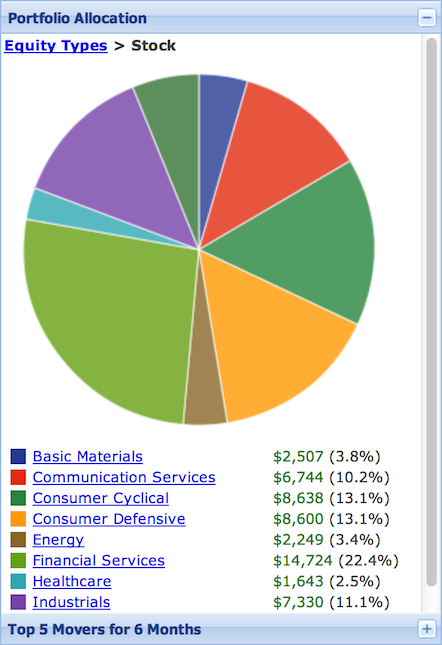 From here you can click the hyperlinked categories in the Insight panel to further see the allocation of that category. 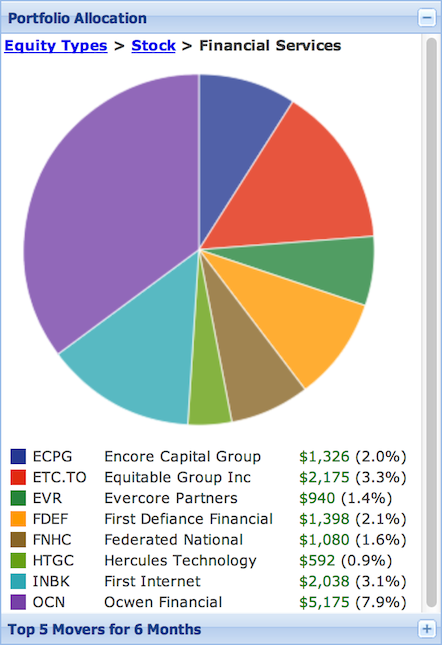 For example, clicking ‘Stocks’ in the above screenshot shows the sector breakdown of the portfolio (shown below). You can see the allocation of stocks within a particular sector by clicking the hyperlinked sector name. 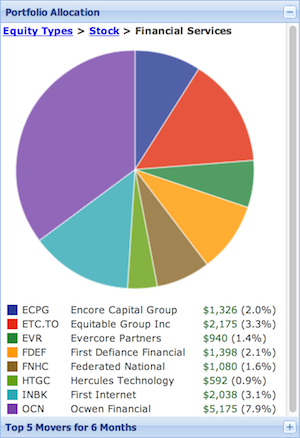 This will give you a list of stocks in that sector with the dollar amount of your position with that stock, as well as the percent that holding in the entire portfolio. Click the hyperlinked words in the breadcrumb trail at the top of the chart to go back up a level. 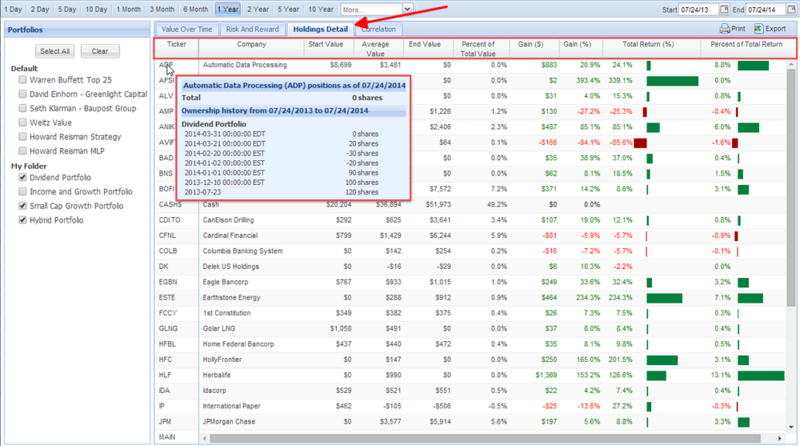 First, open the Portfolio Analysis window, by clicking Analyze Portfolios in the Start menu. You can sort the rows by any of these measures by clicking on their column headers. Clicking on a column header twice reverse-sorts the data. The graph shows the value of the selected portfolios over the selected period. Mouseover the chart for a tooltip that shows the value of your portfolios on a specific date, as shown below. The chart below the Portfolio Analysis table in the Risk and Reward tab shows the total return, risk-adjusted return vs. the S&P 500, and beta for each of the selected portfolios. 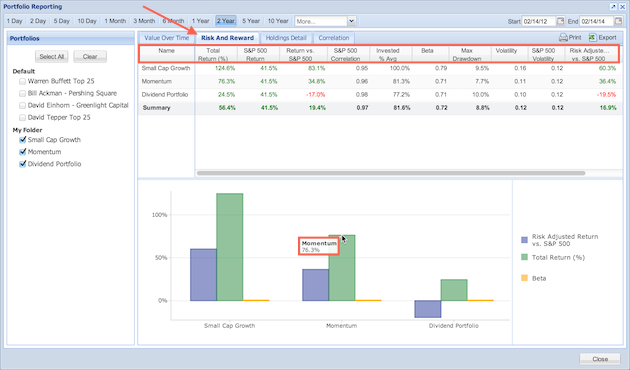 Mouseover one of the bars for a tooltip with the metric’s value for that portfolio. You can sort the holdings by any of these measures by clicking their column headers. Hovering over a ticker symbol will display more information about that holding, shown below. 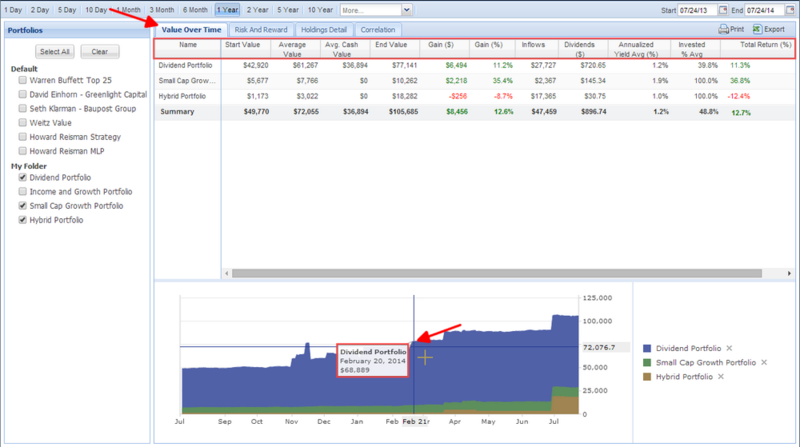 Right-click a column header to group by sector, industry, portfolio, tag, or color. The Correlation tab of the Portfolio Analysis window shows the correlation between all the holdings of the portfolios or watchlists selected on the left. 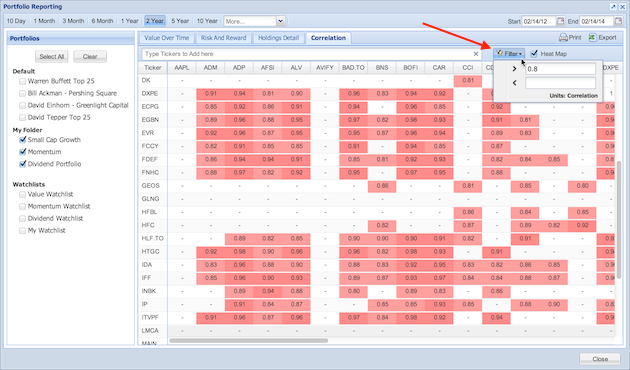 You can also add additional tickers for correlation analysis via the ticker box. You can add anything that Stock Rover can price to the correlation table. This includes stocks, indices, ETFs, mutual funds, portfolios and watchlists. The portfolios or watchlists that are selected on the left will be added as rows and columns, in addition to the stocks that comprise those portfolios or watchlists.